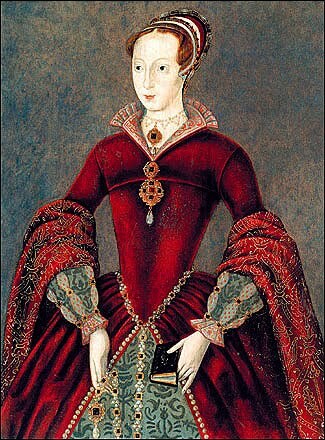 On February 12th 1554, Lady Jane Grey was executed at the age of sixteen. Part of her story is told in Foxe’s Book of Martyrs and she is deemed by some as being the first protestant martyr of Queen Mary’s reign. 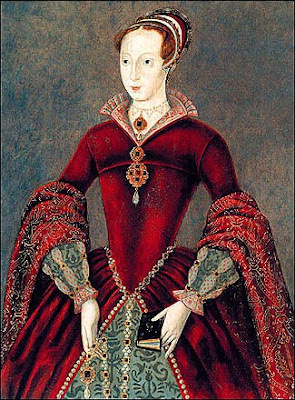 Jane was designated by Edward VI to be his successor to the throne of England, overruling the succession decreed by his father Henry VIII. According to Henry’s instructions, the successor to a childless Edward would be Edward’s half sister Mary. However, during Edward’s short reign the religious climate changed drastically. While Henry is usually credited with taking England away from Catholicism and into Protestantism, the real changes began under Edward. Henry attempted to break away from the Pope’s political influence while retaining most of the Roman Catholic Church’s beliefs, but Edward moved to establishing religion more in line with the teachings of the reformers. As illness made Edward’s premature death a foregone conclusion he was advised to pass the throne to his cousin Jane to avert the certainty of a return to Rome should his sister Mary be crowned Queen. Under Henry’s decreed order of succession, Jane would have been next in line after Mary and Elizabeth, but since Henry had previously had these two daughters declared illegitimate their position in the line of succession was legally questionable. Therefore to a degree, Jane had a legitimate right to the throne. Upon Edward’s death, moves were quickly made to establish Jane as Queen and to take both Mary and Elizabeth prisoner to remove any threat of them raising opposition. However the plan went terribly wrong when Mary avoided capture and was able to draw strong support. Jane’s reign lasted less than two weeks. She was imprisoned by Mary who was accepted by the people as the rightful Queen. Initially, despite constant pressure from advisers, Mary resisted suggestions to execute Jane, recognising that Jane had been reluctant to take the crown. But political complications interfered. Firstly Jane’s father helped lead a revolt against Mary, making Jane seem to be a threat as a potential figurehead for future hostilities against Mary. Also, Mary was keen to marry Phillip of Spain and the possibility of this marriage was made doubtful while Jane lived. The Spanish requiring the threat of protestant Jane to be dealt with before the marriage could go ahead. Mary tried to give Jane a lifeline by sending a trusted Catholic priest to persuade her to turn away from her protestant beliefs. Her execution may have been averted had she converted to Mary’s religion. However Jane stood firm and her execution became unavoidable. Can Jane be rightly as a martyr of Mary’s reign, one of the first of many? I think both yes and no, and in explanation I’ll deal with the “no” first. Her execution was not primarily a religious act it was political. Had it not been for her father’s involvement in the revolt against Mary, Jane may well have been spared from the executioner and may have eventually been given her freedom. Her religious convictions were not the condemning factor. However, she would not have been in her position had she not had strong protestant beliefs. She allowed herself to be made Queen, with strong misgivings, because she had been made to see that the security of Protestantism in England was on her shoulders. Then later, when given the opportunity to deny her faith and to convert to Catholicism to possibly save her life, she saw death as the preferable option. As a young teenager, Jane demonstrated strong faith in her God. Her convictions were strong and well considered. And when it really counted she knew what was most important. Our understanding of history is always shaped by our sources of information. I’ve read several accounts of Jane’s life and from those sources I have drawn my own understanding of her life and the reasons for her death. Boylen I also consider her to be a advocate for the reformation. The catholic church has done a good job making her a evil reputation . Why would a woman of loose morals make a king wait 6 years. It does not add up . You've got me curious about Anne Boleyn. My first (and very limited) reading suggests you could well be right. I knew Katherine Parr was an influential supporter of protestant belief but had not previously read anything similar about Anne.